Baby E has officially mastered the Toy Slot Box, so we decided to try making a variation that would provide a bit more action. I used a cereal Box for this one, and it actually works quite well. Sometimes the coins will roll 10 feet across the floor! There are simple directions below if you want to try it out. Round lids from around the house should work for rolling too. First tape the lid of the cereal box shut. Then cut a large opening in the side of the box, leaving some of the edges for added strength. 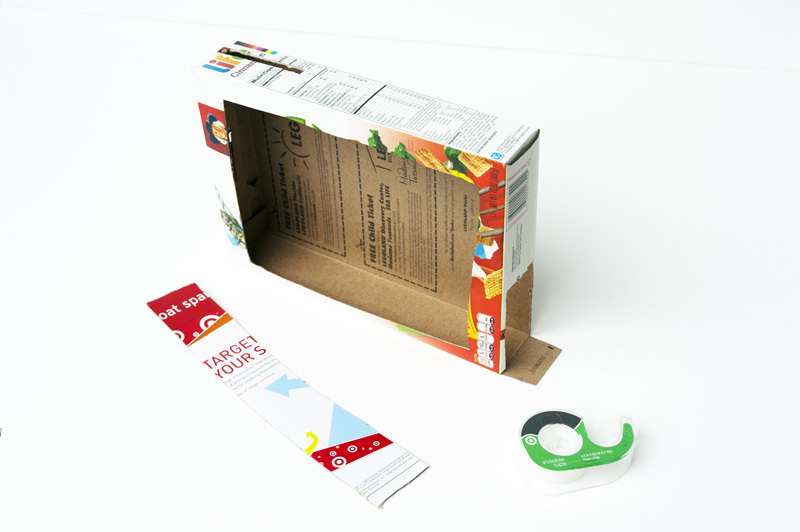 Cut a small rectangle on the end of the box for the coin to roll out of. (See photo below.) Finally cut a strip of cardboard for the ramp. 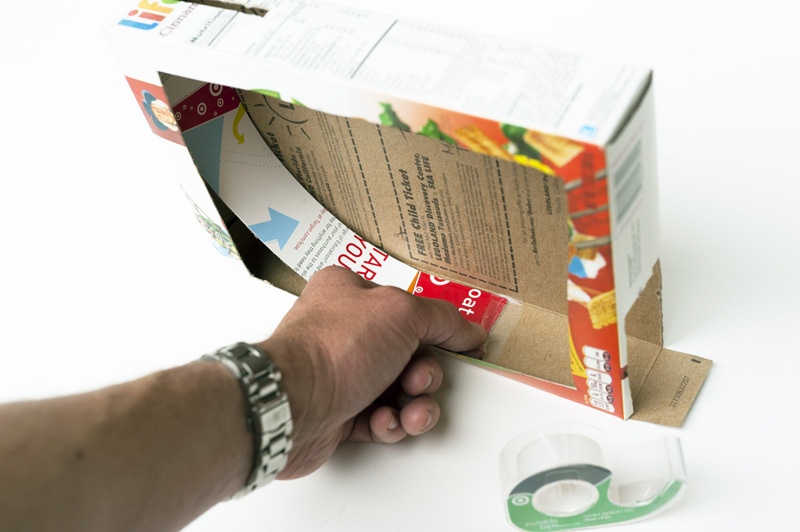 I actually used a piece from another cereal box, because I wanted a longer ramp, but you could also just make one with the scrap cardboard from the side opening. 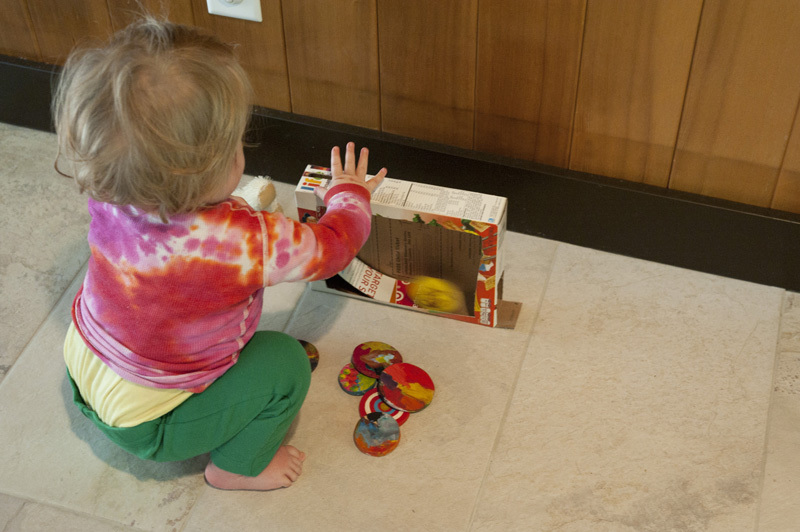 Now attach the ramp inside the box with tape at both ends, and start rolling! This project is amazing! My twin girls just turned 1 and one of their gifts was a toy track, they didn't take to it, but loved the cars. I adapted this to work with the Little People Wheelies and they LOVE it. You're projects are always amazing. I will pin this and make it :). For reals!